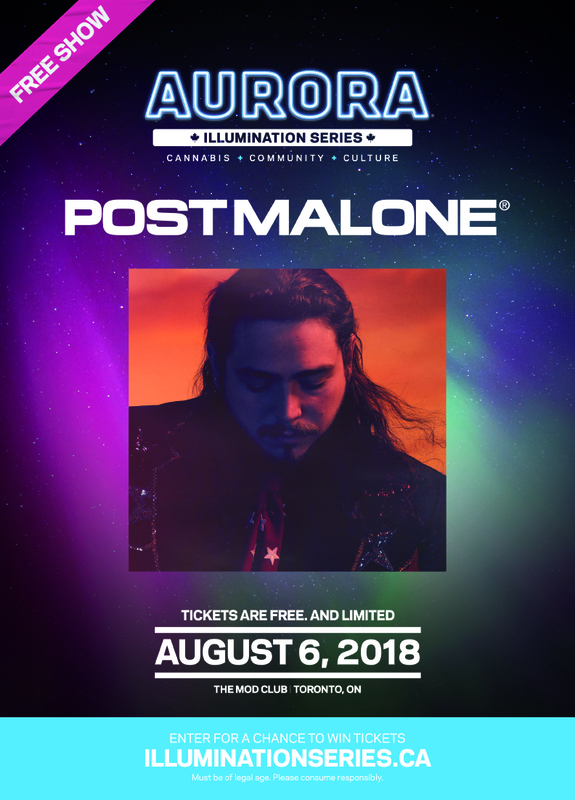 American Rapper Post Malone comes to Toronto as part of the Aurora Illumination Series free concerts which celebrate the Aurora Cannabis Inc communities across Canada. You can register in the contest (see link below) for a chance to win free tickets to the musical performance on August 6, 2018 at Toronto's Mod Club. A Complimentary beverage station featuring Space Bear and photo stations by Illumination and Aurora Aura will be part of the night's experience. Additional special guests will be announced in the future. 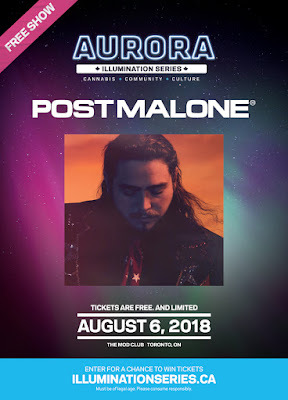 Post Malone will be the headliners for the final show of the series which started in Vancouver in April, included another Toronto concert with Death From Above in May, and will continue throughout July until Post Malone's show in Early August. 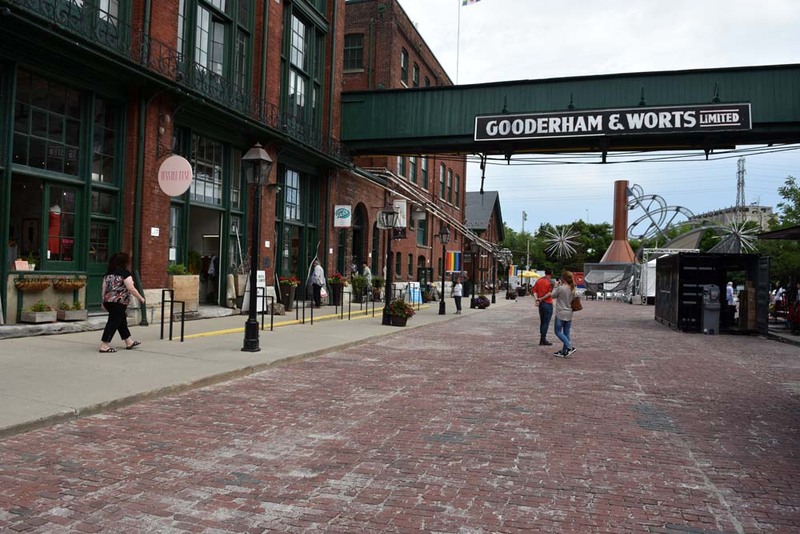 Tickets are awarded in pairs to winners of legal ages in the Canadian provinces. The rapper has set a record for the most songs in the top 20 of Billboard's Hot 100 by a single artist and also has had the number 1 song "Rockstar" on the Billboard's Hot 100 chart. He is a multiplatinum recording artist that blends country, hip-hop, grunge and R&B. Upcoming free Aurora Concerts include the following. 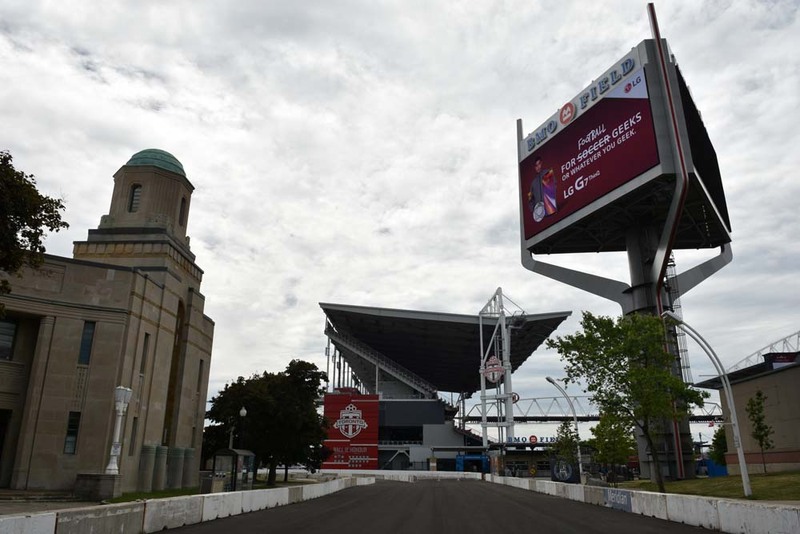 Toronto's 32nd high power race weekend will soon be back in Exhibition Place July 13-15, 2018. 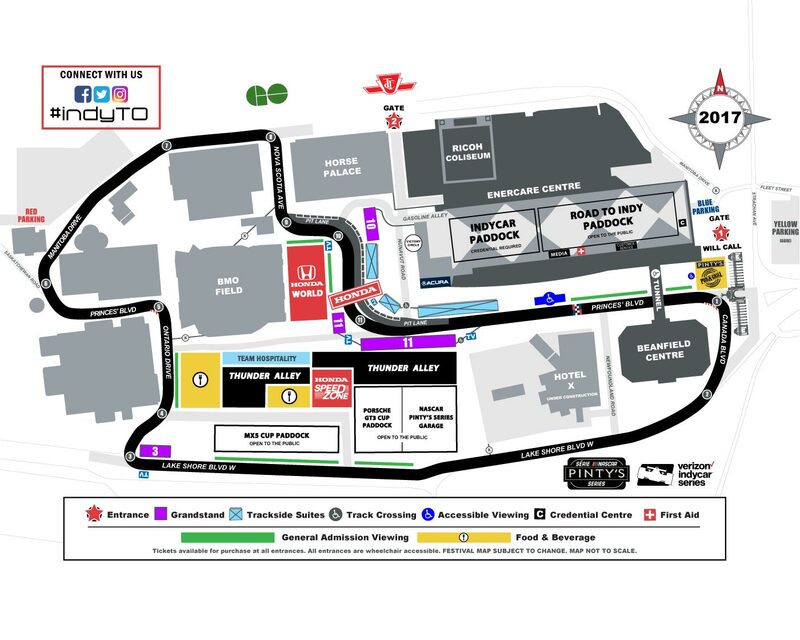 Free general admission on Fan Friday returns courtesy of the Ontario Honda Dealers Association along with a voluntary donation matched by the Honda Canada Foundation to Make-A-Wish Canada on Honda Indy Toronto opening day. As part of Make-A-Wish you can enter a raffle with chances to win an incredible from Toronto Blue Jays and the NHL. The track build is underway and the race is just short weeks away. 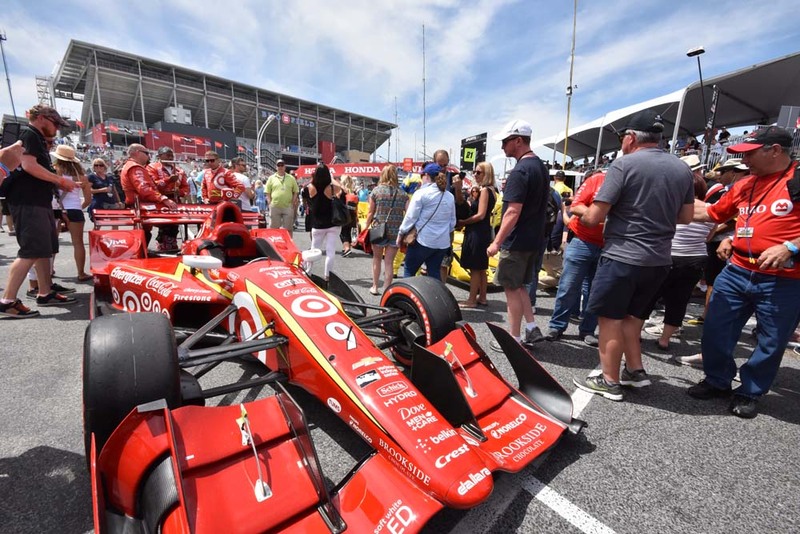 The raffle prizes include two tickets to anywhere WestJet flies, James Hinchcliffe's race suit from this year's Honda Indy Toronto, autographed items for the raffle including an NFL quarterback Matt Ryan football, Toronto Maple Leafs Morgan Rielly jersey and a Toronto FC team jersey. 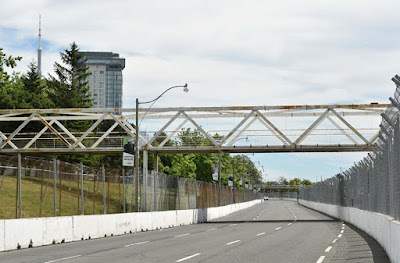 Honda Canada is the title sponsor for the Honda World and Honda SpeedZone areas near the Turn 11 Honda pedestrian bridge. 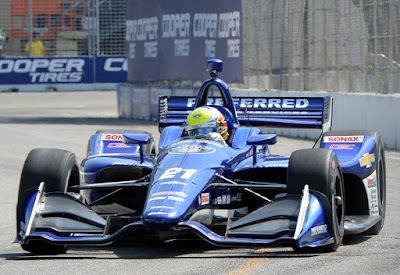 "Honda's DNA is built on six decades of racing and we're extremely proud to celebrate that heritage and our success in the IndyCar series," said Jean Marc Leclerc, Senior Vice President of Honda Canada Inc. "We're honoured to support the Honda Indy Toronto for the tenth year, as the premier sporting event brings the excitement of racing to the streets of Toronto." 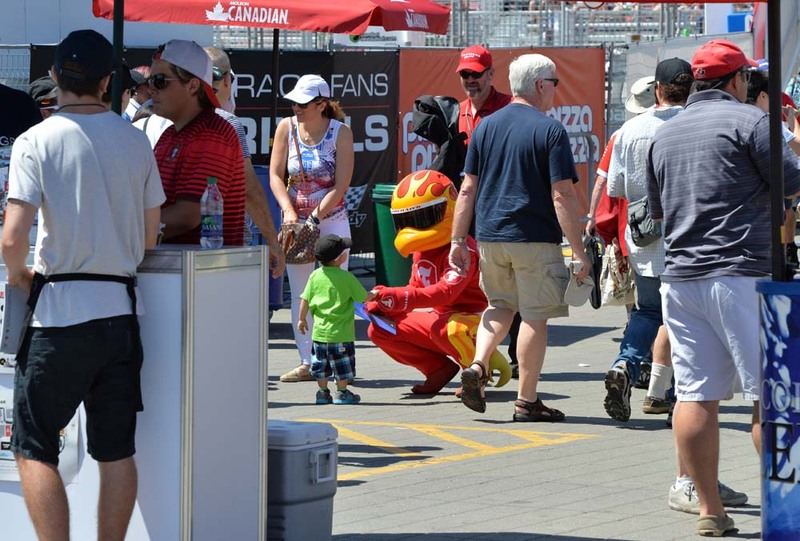 Honda World will be back beside BMO Field across from Pit Lane with activities for young fans 6-12 years as well displays of Honda power equipment, ATVs, motorcycles and sporty vehicles and some Acura race car and prototypes. 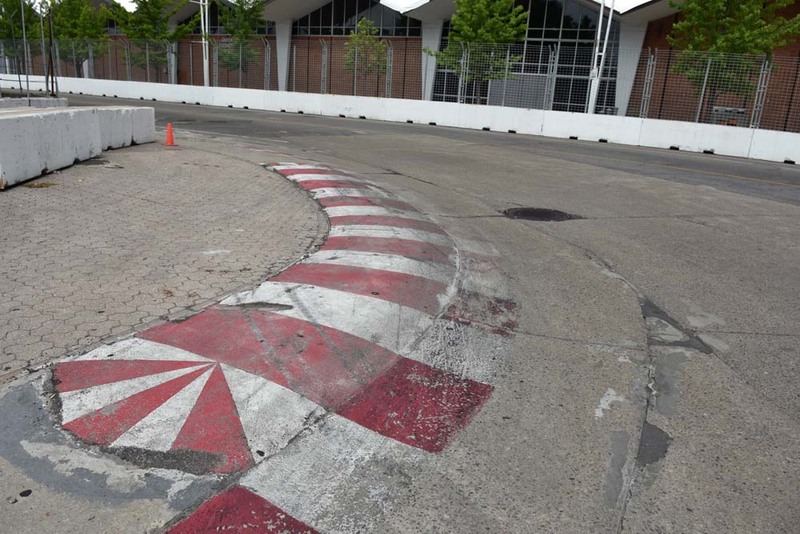 The popular area will also feature race simulators and James Hinchliffe's replica show car. 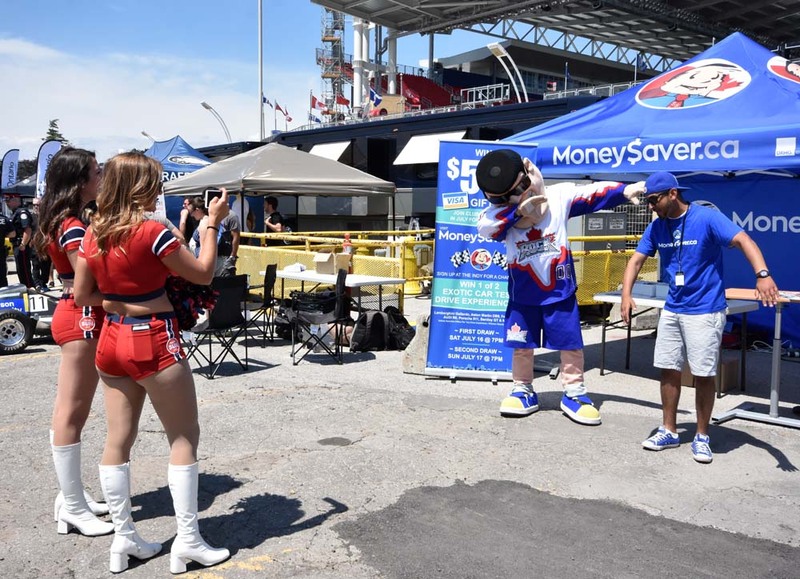 The Honda SpeedZone will be in Thunder Alley and will have a golf practice swing zone, a Toronto Blue Jays baseball batting cage, hockey slap shot zone and a game of Plinko where you can win Honda prizes. 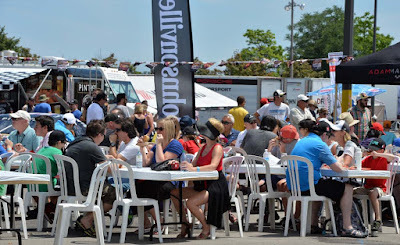 "Honda Canada and Ontario Honda Dealers' activation around this event has grown every year since their support began in 2009. The Honda Indy Toronto is a must do for festival-goers and a top tourist destination from people across the globe," says Jeff Atkinson, President of Honda Indy Toronto. "The momentum and enthusiasm for this summer festival continues to build. We are proud to work with a great partner in Honda to deliver a spectacular show at the Honda Indy Toronto." 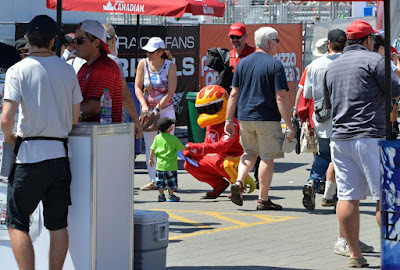 In addition to Honda World and Thunder Alley attractions there is also the series paddocks and garage areas where fans can explore the impressive equipment, trucks, scooters and tools required to maintain the race cars, with applicable tickets. 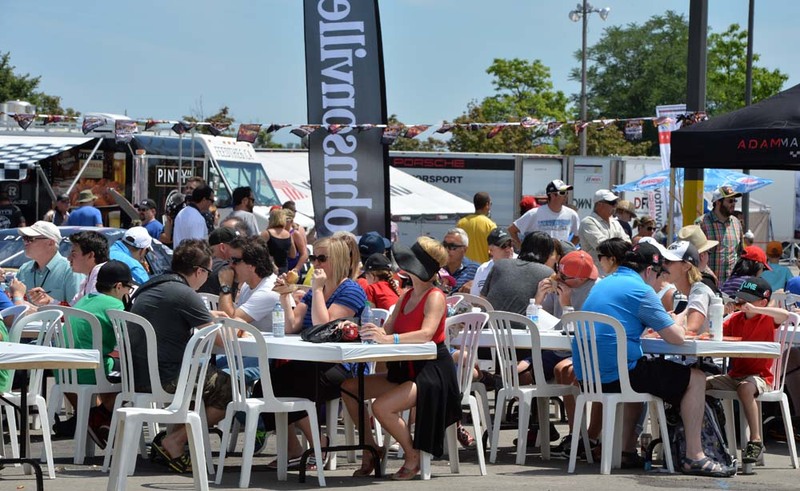 Honda Indy Toronto has partnered with The Food Dudes for catering, concessions and beverage service in Exhibition Place and the hospitality suites to provide creative food options and a varied selection. "We couldn't be more thrilled to team up with Hondy Indy Toronto," adds The Food Dudes' Chief Operating Officer Lindsay Klein. 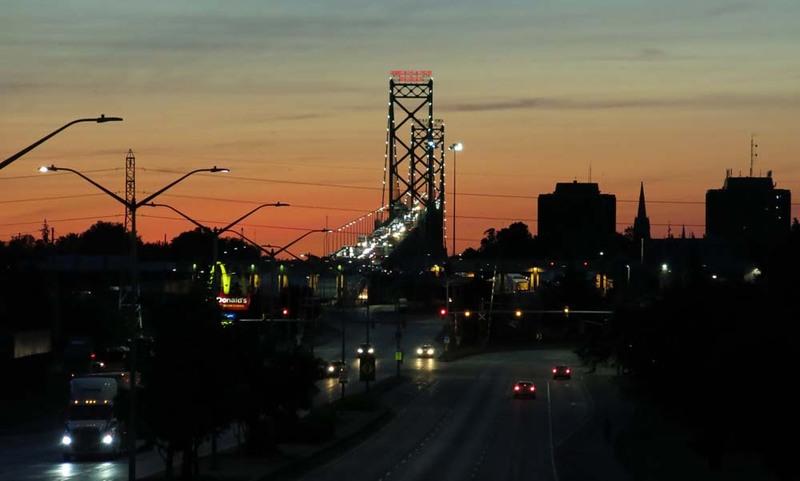 "This is a world class event that's a centerpiece of our city's summer season. 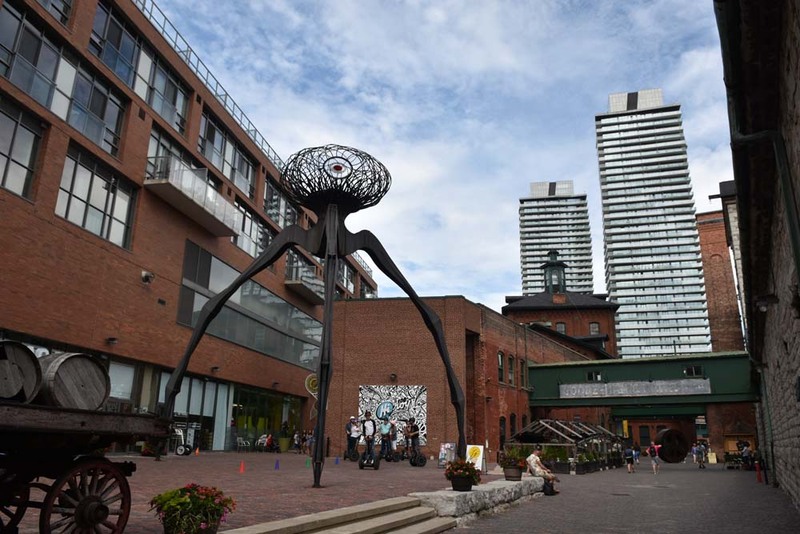 The size and scope of the event give us the opportunity to bring in a hand-picked group of Toronto's best restaurants and caterers, as we update the food options with something for everyone." Also taking part in the culinary offerings will be Buster's Sea Cove, Kinka Izakaya, Toben Food by Design, the Pinty's Pub & Grill pub area and the Miller Lite Deck. Just prior to race weekend is the 2nd annual Indy Cycling Challenge in support of Prostate Cancer Canada on Thursday, July 12. 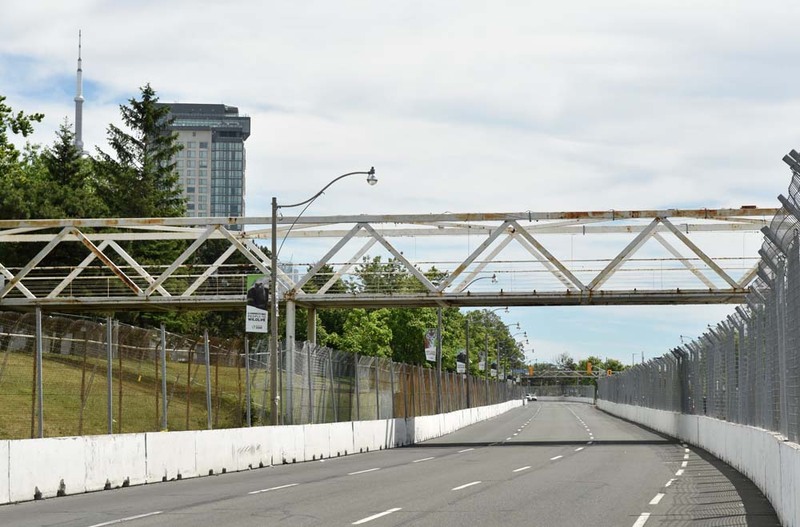 You can ride the temporary street course for 10km (4 laps) or 25km (9 laps). You can enter on the indy challenge website. 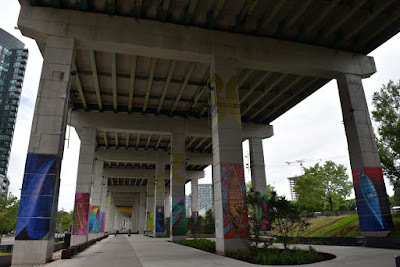 They are building the market and you will come by the tens of thousands because this is the major public transportation hub for all of Toronto and it is hard to miss. Forget last years umbrellas and tents, this year they are installing a giant, wooden beam complex. 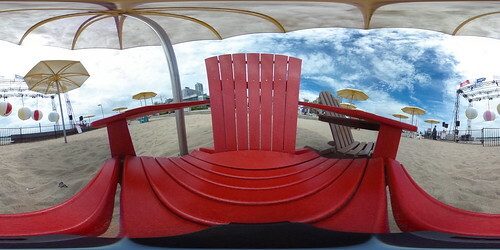 TD presents Union Summer in the Sir John A Macdonald Plaza from July 1 to August 19 (11am to 9pm). 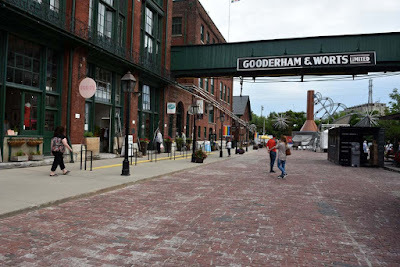 Goose Island craft brewery will even have a licensed bar area for truly epic patio people watching as over 300,000 people drop by Canada's largest transportation hub every day. Food vendors like Union Chicken, Amano Pasta and the Carbon Bar, musical performances and film screenings will fill 50 consecutive days of programming which will showcase local talent, culture and spirit. Daily features will include Folk Music Ontario Mondays, Highlights from Wavelengths Festival on Tuesdays, Live from City Hall every Wednesday afternoon and Wednesday Outdoor Movie Nights, Thursdays' TD Festival previews and DJ 'Nooner', TD Music Fridays and Saturdays' Young Artists Showcase along with Weekend Children's Programming with the Design Exchange. "Union is truly becoming a destination in the heart of the city where people can find the best of Toronto," said Lawrence Zucker, President & CEO of Osmington, who is responsible for the retail development at Union Station. 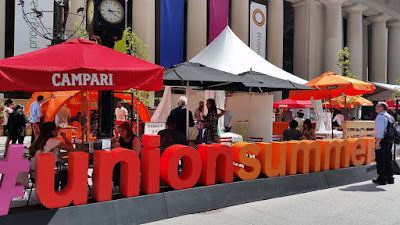 "Be it the latest food trends, breakout performances, a movie under the stars, or just a drink with friends – think of Union as your garden patio oasis this summer." 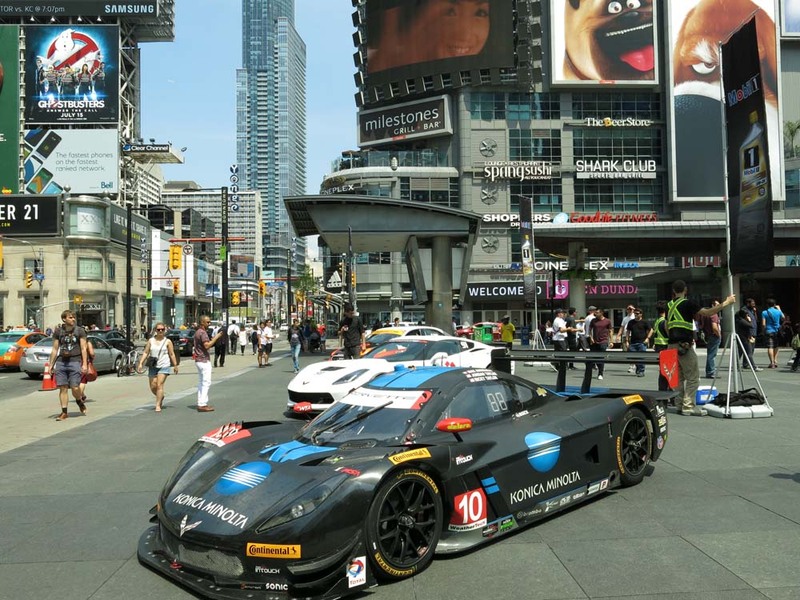 It is hard to believe that you can contain such raw automotive power in Yonge-Dundas Square but they certainly get it done during the upcoming Canadian Tire Motorsport Park (CTMP) R.aceFest promotion. Exotic prototype and high-tech GT race cars will be on display, fans can meet and greet with race car drivers and the live pit stop demonstration will rev up the action on Wednesday, July 4th 2018 from 5pm-8pm. You will also have a chance to win race day tickets and other prizes. The IMSA WeatherTech SportsCar Championship race cars like the Ford Chip Ganassi Racing GT and prototypes like the Acura Team Penske and JDC-Miller Motorsports cars will be featured along with cars from the Continental SportsCar Challenge and the IMSA Prototype Challenge series. 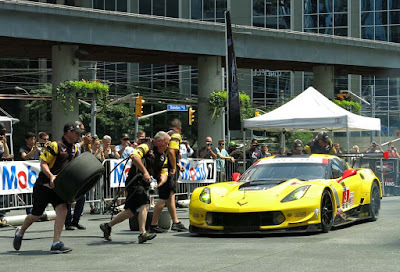 The racing demonstrations and displays in downtown Toronto is for the Mobil 1 SportsCar Grand Prix, Canada's biggest sports car race, which will be held at the Canadian Tire Motorsport Park July 5-8, 2018. Exotic prototypes and Grand Turismo (GT) high performance sports cars will race the legendary track located just north of Bowmanville. 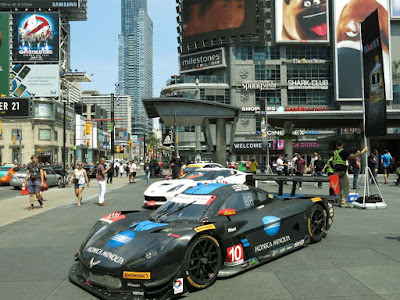 "Race driver appearances and autograph sessions, featuring some of the best sports car drivers in the world including 2017 WeatherTech Sportscar Championship winning driver Ricky Taylor; Corvette Racing's Jan Magnussen, Antonio Garcia,and Oliver Gavin; Christina Nielsen – the first female driver to win a WeatherTech SportsCar Championship series title; Canadian Kyle Marcelli with teammate Austrian Dominik Baumann; Canadian Jesse Lazare and Anthony Simone; and Peruvian Rodrigo Pflucker." Live pit stop demonstrations will be performed by the IMSA WeatherTech SportsCar Championship factory Corvette Racing GTLM team. 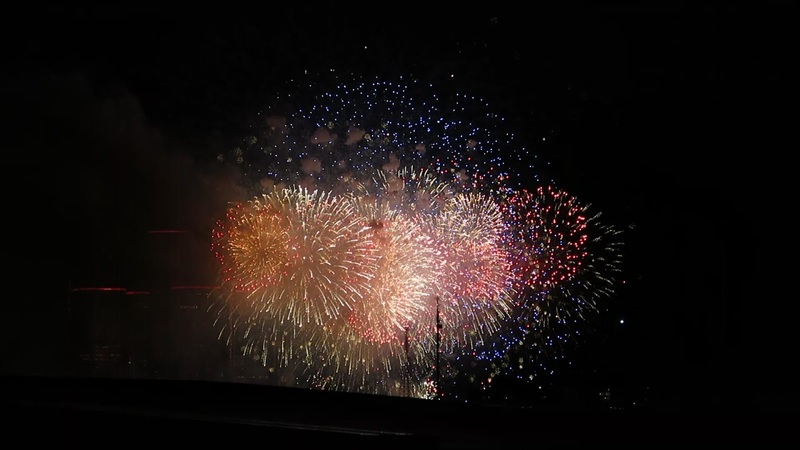 Detroit and Windsor jointly celebrate their country's upcoming independence days with a spectacular fireworks show set off over the Windsor River. 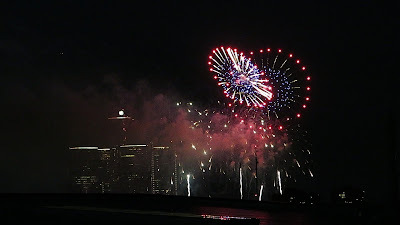 The event is usually held on a Monday in the third week of June, just before the Canadian July 1st and American July 4th birthdays. Produced by The Parade Company, supported by the Ford Motor Company and designed by Zambelli Fireworks they set off over 10,000 fireworks in a show lasting about 24 minutes. 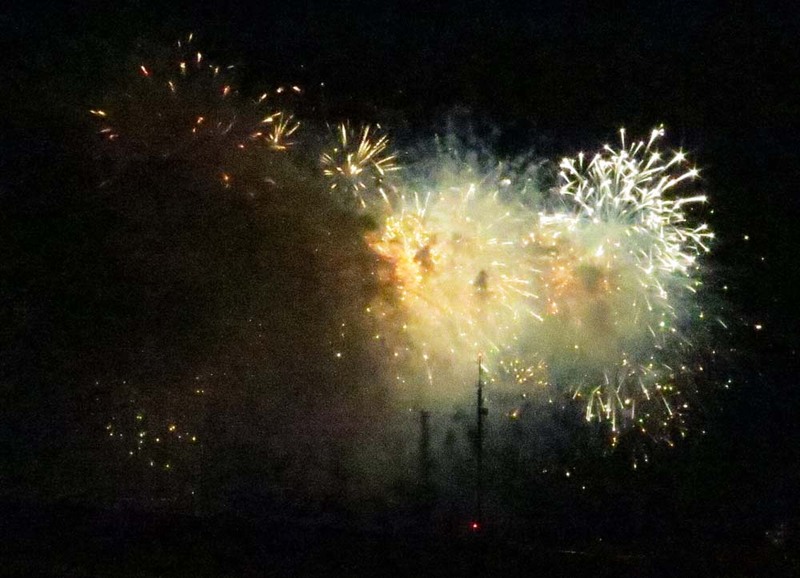 They started the Ford Fireworks at 9:55pm on Monday, June 25, 2018, fired off three barges in the river, east of the Ambassador Bridge. The theme for 2018 is "Come Alive in the D!" and on the American Side at Hart Plaza there were games and live entertainment as well as Yankee Air Museum vintage plane flyovers at 7:30pm. Hundreds of thousands were expected to watch the fireworks on both sides of the river. 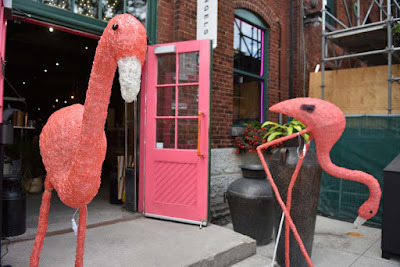 Toronto's historic Victorian Industrial district is home to a pair of pink flamingos, of the art type, hiding in the hipster neighbourhood. Well, not so much hiding as welcoming you into a store. 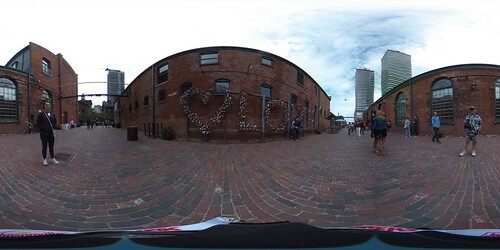 And that store is near the intersection where the Love Lock display is located. 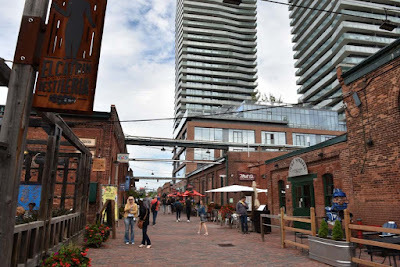 Don't wait for special events to drop by the historic Distillery District, go during a weekday when the crowds are small when the visit can be more relaxed. 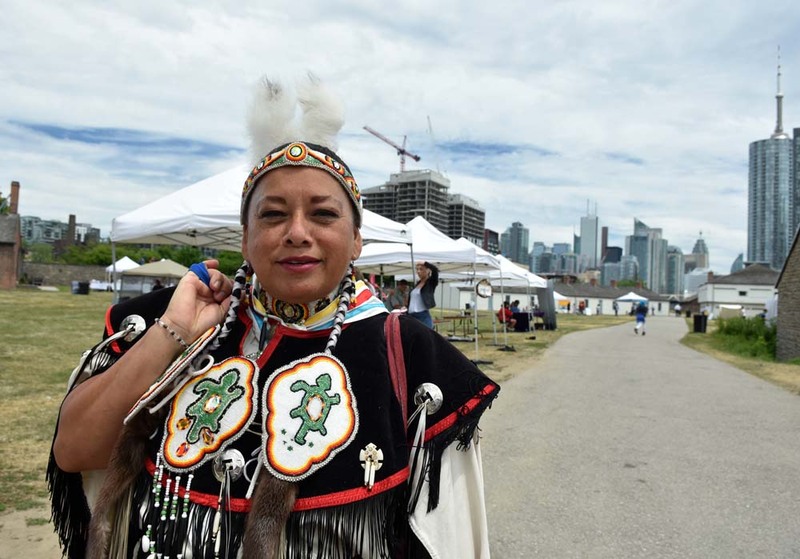 Fort York Historic Site highlights traditional and contemporary Indigenous culture on from June 21 to 24, 2018. Thursday and Friday are Education Days while the Public Festival is June 23 to 24. The festival is free on the weekend and during the day and includes a Traditional Pow Wow and over 30 Indigenous artists from across Canada. 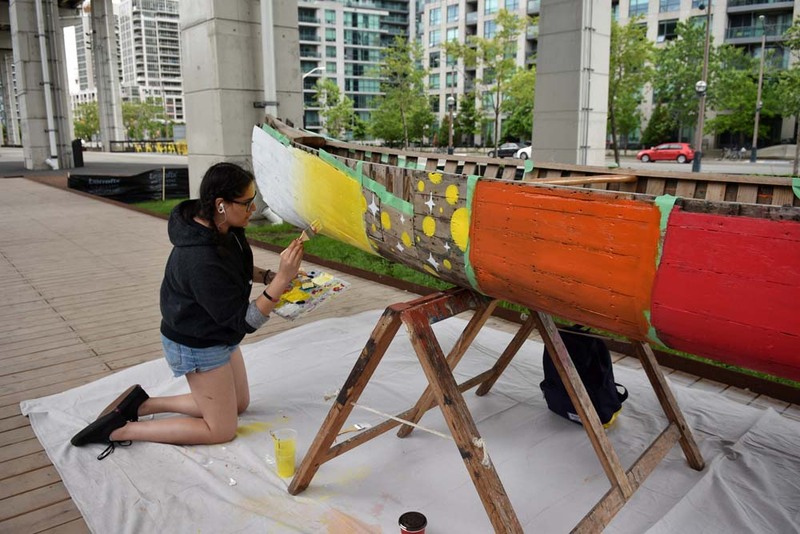 The event is produced by the City of Toronto in partnership with the Mississaugas of the New Credit First Nation. 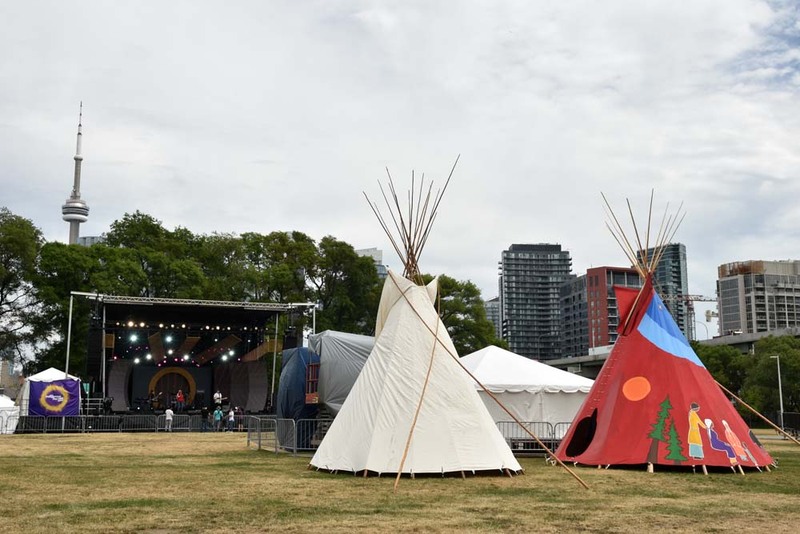 Celebrations of Indigenous culture will also feature dance, theatre, storytelling and concerts at the site located at 250 Fort York Boulevard. Weekend hours are Saturday from 10am to 10:30pm and Sunday from 10am to 7:30pm. 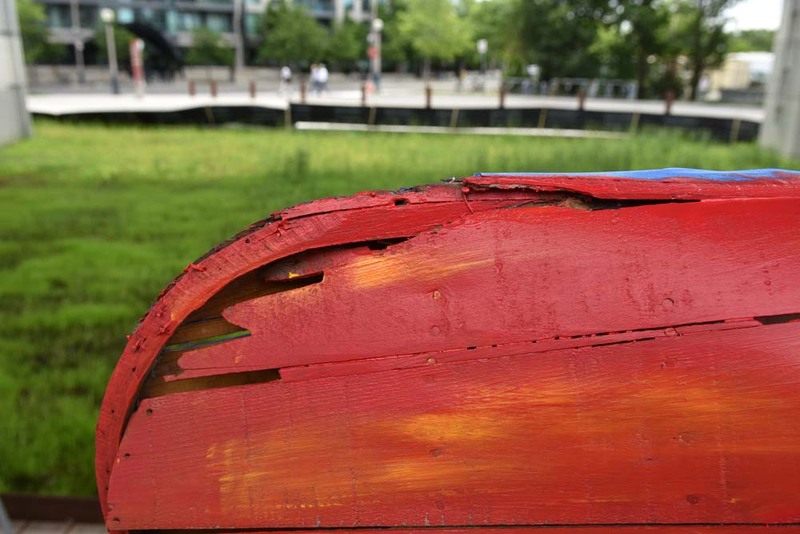 The Bentway Park outside Fort York also has an ongoing canoe installation and several old canoes are being painted out on the walkway. On the highway pillars several images of canoes have been applied to the concrete. 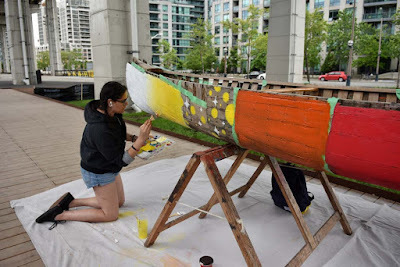 The works are by Vancouver-based, Lakota Sioux artist Dana Claxton who "considers the iconic role and symbolism of the canoe in Canadian, Metis, and Indigenous histories. Claxton works with photographs sourced from the Internet, and her images depict a range of canoe types, from traditional birchbark vessels to contemporary leisure crafts, reflecting a method of transportation that spans time and distance." 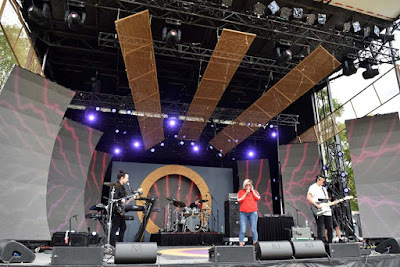 Saturday, June 23 will also have the Indigenous Day Live Concert with a pre-show at 5:20pm and the concert from 7pm - 10pm. Main stage performers include Grace Dove (Host), Samian (Host), Kardinal Offishall with Que Rock, Shawnee, Ria Mae, Logan Staats, Shauit, Beats Collective, Daniel Roy, Valerie Dee Naranjo, Rich Brown, Jera Wolfe, Illustrated, Quantum Tangle and Fawn Wood & Dallas Waskahat. 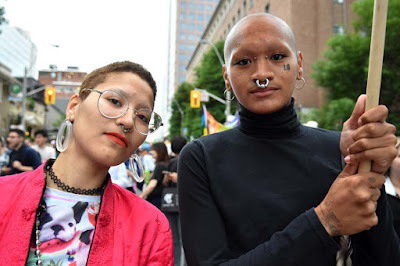 Friday was the beginning of StreetFair on Church Street and the first of the Toronto Pride parades of the annual festival with the Trans Pride March on June 22nd. Yasmeen Persad will be the Grand Marshal of the parade which began with a rally and left the starting point for their march. 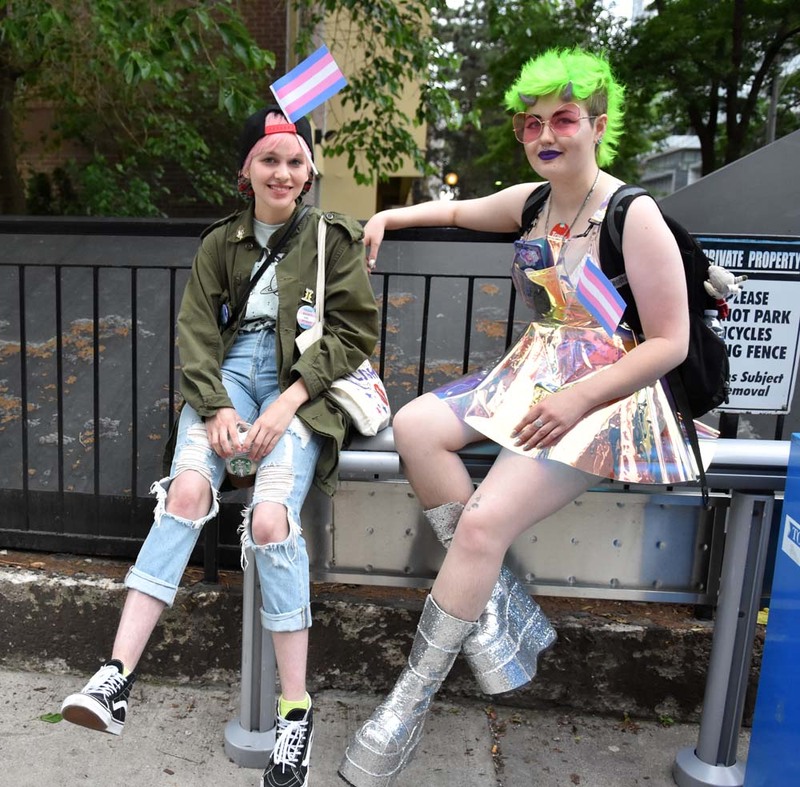 “Trans” is an umbrella term that refers to all the identities within the gender identity spectrum. 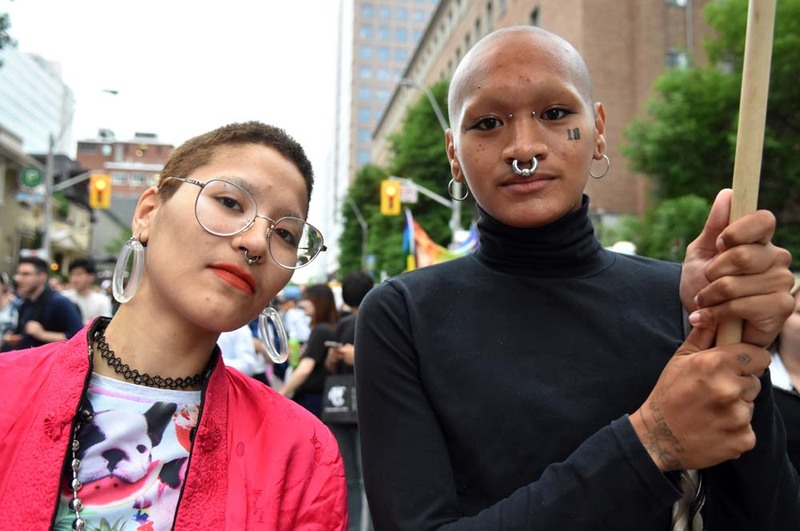 It includes but is not limited to community members who identify as transgender, transsexual, transvestite, genderqueer, gender-fluid, gender-independent, non-binary, third gender, two-spirit, and bi-gender." 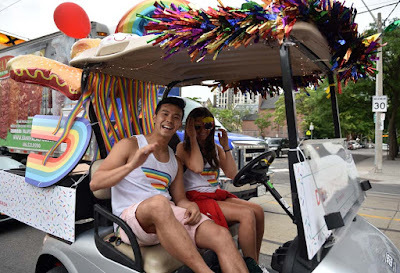 See more of Pride after the jump. Famous for the 2017 giant rubber ducky, the annual festival returns with the HTO Pendulum Wave at HTO Beach. 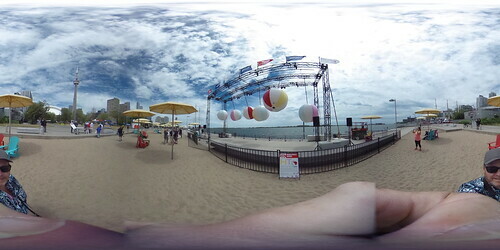 The Redpath Waterfront Festival also features Aqua Cirque which is an H20 Themed Circus Show at Sherbourne Common. "Aqua Cirque is an enchanting and colourful show from A2D2 – Aerial Dance Cirque Co. The show tells a magical underwater tale with mystical creatures performing incredible acrobatics, aerials and nautical feats. Submerge yourself with our aquatic friends as they take you on a captivating undersea journey." 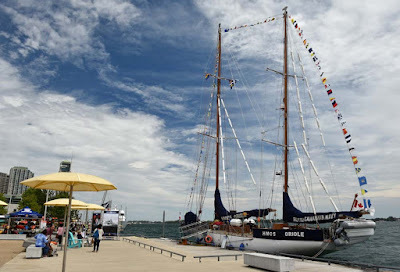 The annual Toronto waterfront festival weekend runs from Friday, June 22 to 24. Also joining the beach balls at HTO Park is the Royal Canadian Navy Tall Ship the HMCS Oriole. The ship has been out on a training mission and this is the first time it has been in the Great Lakes in over 25 years. Six giant beach balls form the installation HTO Pendulum Wave, designed by Decor & More, where the balls swing back and forth. 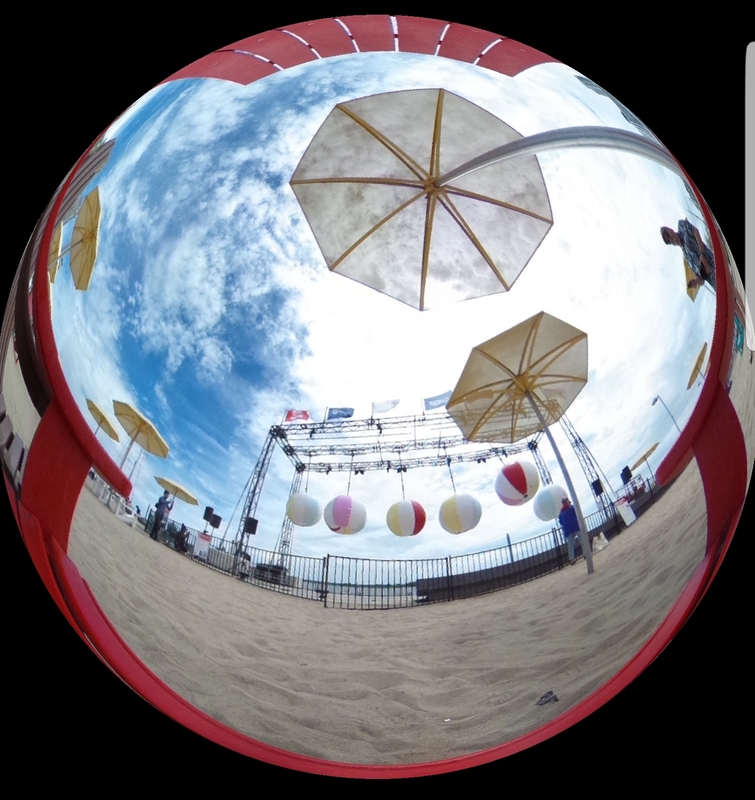 The balls are 6.5 feet wide and hang from a steel truss structure right by the water and as the balls move back and forth they are cranking out the tunes. Look but don't touch. It is slightly interesting, but come on, we all know this doesn't hold a candle to the giant rubber ducky. You know what would have been great? 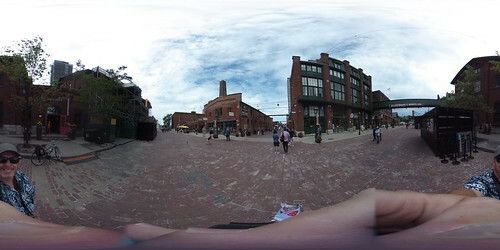 A giant Gozzzilllla pointing towards the unknowing city, or an giant ape climbing up the CN Tower. Update July 12, 2018: The race officially opens tomorrow and the fun begins. IndyCar drivers meet the media on Thursday. Update July 10, 2018: Grandstands and 90% of blocks/fencing is up. The start line is being painted and some asphalt is being placed around the track and the tire barriers are being placed. 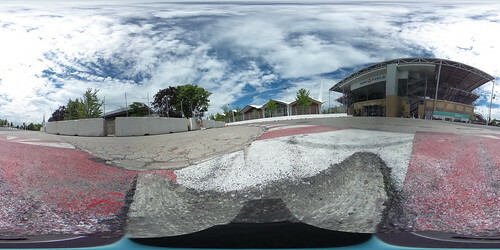 The IndyCar paddocks in the Enercare Centre are still empty. 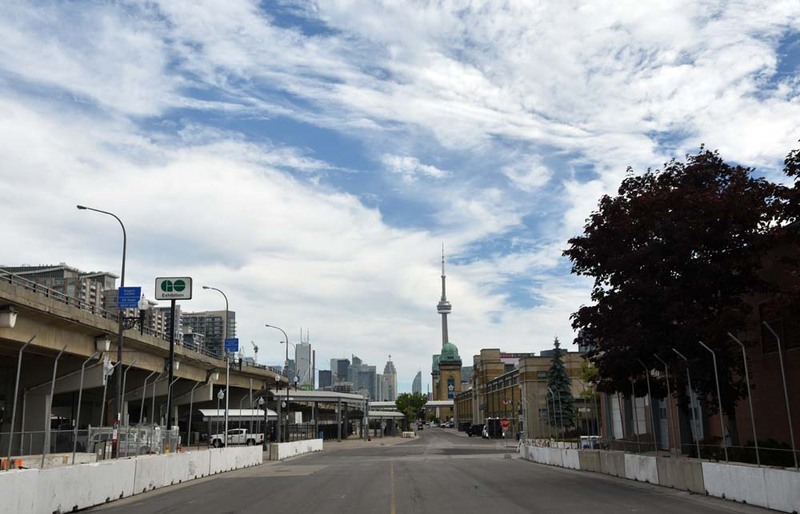 Road closures start at midnite tonite to put in the finishing barriers on Lake Shore Boulevard West. Back to the original post: Putting together the Streets of Toronto track while minimizing the impact to traffic is no easy feat, yet the construction crews do it year after year. 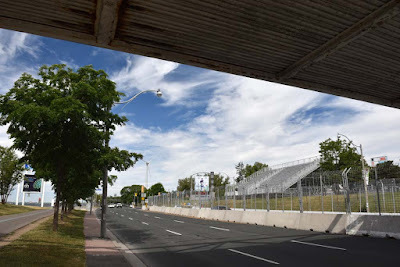 Most of the track on Lake Shore Boulevard is setup, Turn 3 grandstand is up (photo at top), within Exhibition Place the blocks are over 50% are in place - just needing fencing to be installed and the pit lane stands are under construction with grandstand 10 complete. 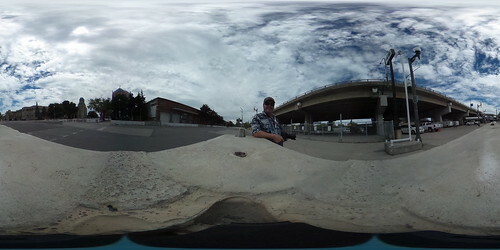 Turn 3: 360 degree photo. 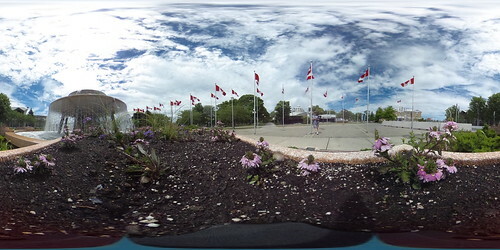 For these photos hold your mouse over the picture, left click and you will be able to scroll around the photo in all directions. 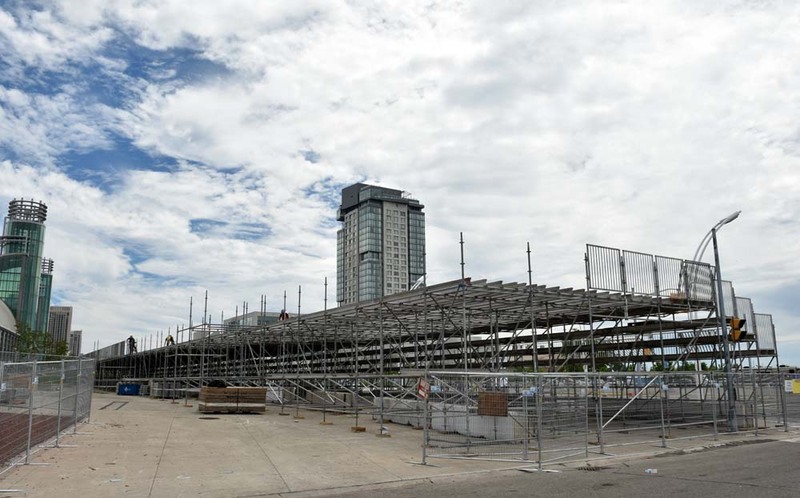 Kilometers of fence and concrete block are placed as Honda Indy Toronto grandstands take shape along the route. They have to be ready by race weekend which is mid July. And they have made steady progress from their mid June start. "Track construction of the 2.89 km (1.786 miles), 11-turn temporary street circuit has begun inside the Exhibition Place grounds for next month’s Honda Indy Toronto. The final racing layout will once again feature four left and seven right turns running clockwise direction. Led by Jim Tario, Director of Track Operations, who has built the Toronto circuit for 30 years, approximately 200 expert crew members will assist in completing the project with much of the work happening at night. 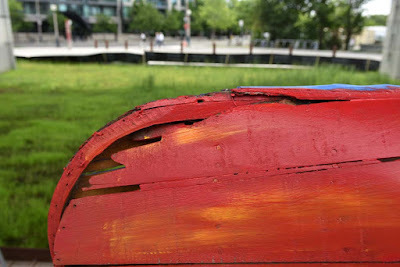 “Each year the crew gets more efficient with the construction and tear down process. 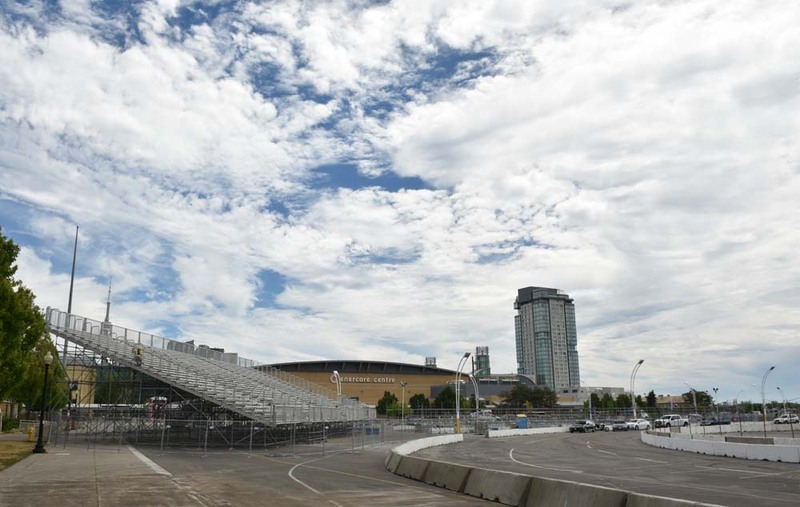 The logistics of night construction comes at a greater cost to us, but the time savings is significant in completing the track build,” said Jeff Atkinson, president of Honda Indy Toronto. 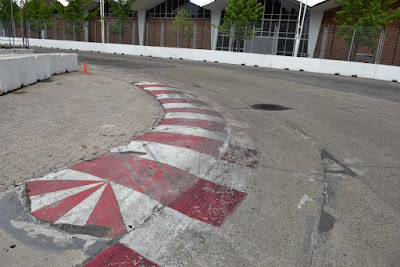 “We transform the streets into a world-class race track while showcasing the beauty of our city to a worldwide TV. In total over 2,050 blocks made using more than 10 million pounds of concrete will be positioned. Fencing spanning 14,000 feet made from 410,000 pounds of steel will be erected, and over 1,600 feet of tire wall barriers will line the course. Track tear down will begin immediately upon conclusion of racing activity. Crews also work at night on this process to avoid daytime traffic." You can see my coverage of the Honda Indy 2018 on the following posts.